For much of the northern hemisphere, January is winter and with it, the cold – often brutally cold – rain, snow, and ice. January is also the time when, no matter where you live, people make plans for the new year. Whether it’s finding enough motivation to stick to resolutions, making a commitment to new habits, or re-setting your business or personal goals, January is a great time to burrow in. That’s what we did at the Pantai Inn in La Jolla, California, and we didn’t want to leave. This is the first of a year of monthly themed features talking about places we’ve stayed and never wanted to leave. This post, and the ones to follow each month, may contain affiliate links, sponsored travel, or paid product placement. We’ve hand-picked these destinations and products because we like them and we think you will, too. Our January theme is planning for a new future. Our 2018 life changes were pretty dramatic. After 30+ years of practicing law, Tony retired. Although he has committed to helping me in the blogging and digital media business, improving photography, and taking care of numerous projects around the house, we were, nonetheless, looking at flipping the calendar to a new year without any meaningful goals and strategies. Except to travel more, of course. Successful life planning and goal setting are often best accomplished away from the vagaries of everyday life. We planned a getaway so that there would be no laundry to be done, no dishes to wash, and no household projects demanding our attention. We needed a few days with no distractions to plan not only what we wanted to happen in the coming year, but also to set out some longer-term goals that would help structure the next stage of our lives. A getaway was definitely in order. We needed someplace relatively close, so we didn’t spend all our time getting there, yet far enough away that we were in a new environment. We wanted space to lounge, spread out to talk, and where good food and wine were nearby. 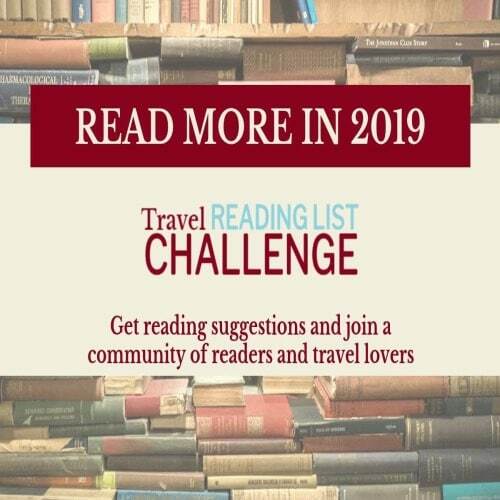 And, since we are travel bloggers, we wanted somewhere we hadn’t been before because we knew it would end up as a story and on social media. We selected the Pantai Inn in La Jolla, California, for our planning getaway, an easy flight (under three hours from Seattle to San Diego). 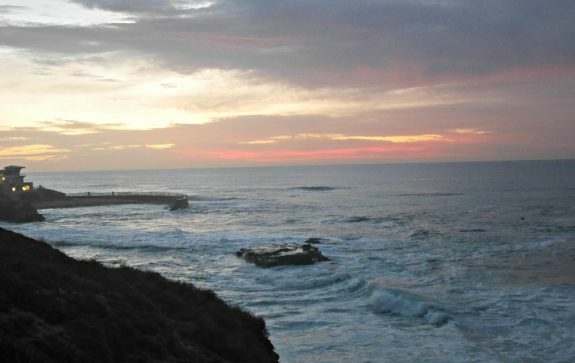 While we’ve been to San Diego several times, we’ve never ventured up the coast to La Jolla. Since we wanted to stay local on this trip, spending time working instead of driving around looking for things to do, this ocean-side community was the perfect choice. The founding history of the Pantai Inn is a classic rags to riches story that starts with a bootmaker in Germany who set out to seek his fortune in America. He continued working as a bootmaker in New York until he saved enough to head to the west coast. After settling in San Diego, the bootmaker opened a boot shop, eventually becoming a successful businessman and manufacturer. 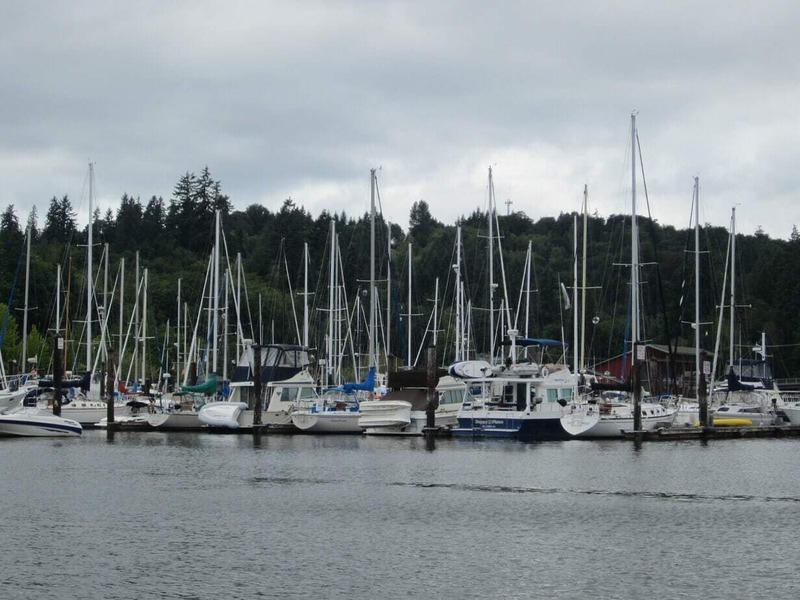 After WWII, believing many of the military personnel who had been stationed abroad might want to return to this beautiful spot, he began buying up property, homes, and apartment buildings. Eventually, the collection of properties totaled about an acre, a ragtag assortment of cottages and buildings in various architectural styles. Although these were originally operated as apartments, celebrity friends started staying in them when they came down for the thoroughbred races at Del Mar, and it soon became the Shell Beach Motel. The oceanside locations provided a perfect location for a secluded and discreet getaway. Shall we hazard a guess at how many Hollywood trysts happened here? And who was involved? Fast forward many decades and the Shell Beach Motel is still owned by the boot maker’s family (his two grandchildren), and after an extensive multi-million renovation, the Pantai Inn emerges. The name Pantai comes from an Indonesian word for “fine white sand beach” and although the sand on the beach across the street isn’t exactly that, the property manages to incorporate Balinese styling and traditions throughout the property. It’s a graceful blending of the past with the need for modern conveniences and comfort. The first thing we did after arriving at the Pantai Inn was checking out the neighborhood. This served two purposes – the practical (having lunch, checking out the restaurants and bars in the Village, and getting some wine and snacks) as well as emotional (stretching out after the plane ride, enjoying some fresh air to clear our heads, and appreciating the sights, sounds, and smell of the ocean). With those missions accomplished, it was time to set the stage for planning our new status quo. Off came the watches, we didn’t want to keep an eye on the clock this weekend, and out came the planners. We poured a glass of wine, turned on the fireplace in the living room of our suite, and set some background music on the television. We spread out with our phones on silent and got to work planning travel, editorial features and content, and setting goals for 2018. I’m a list maker. A calendar keeper. A goal setter. And despite being an avid gadget girl, I like doing those things on paper. Nice paper, with a smooth feeling pen or pencil. Something that captures an aesthetic in addition to practical tidbits. Tony spent thirty years with a secretary and assistant – someone else who kept his calendar. He used case management systems to organize client relations, court appearances, and handle trials. And he relied on me to make sure the important personal things were scheduled. Sometimes things slipped through the cracks with these two different systems, and our first task was to coordinate calendars so that wouldn’t happen again. We use two primary planning tools – our phones (Tony an iPhone 6 and an for me) where we can keep notes, schedule events and sync calendars to one another, keep track of mileage and expenses, and take photos of things we want to remember – and a paper calendar/journal which we annotate throughout the year. This year we decided to try a bullet journal, with weekly, monthly, and yearly calendars, as well as plenty of pages to keep lists of things to do, goals, habit trackers, and healthy meal planning. Our choice: The Bullet Planners. We loved these because they are personalized and handmade in Australia. It felt like using something that was lovingly created for us, keeping our preferences in mind. Settling in on our couch, journals, phones, and a glass of wine at the ready, we charted out 2018. Since our wine preference leans toward big and bold reds, we chose a Alamos Seleccion Malbec 2015 (Mendoza, Argentina) to enjoy during our planning. Malbec is a classically Argentine wine – and wine tasting in Argentina is on our bucket list – and Mendoza is the the largest and best-known winemaking province in Argentina, so we enjoyed trying something new (to us) from this area. We always look for affordable choices, which for us means $15-25, the lower end for everyday drinking and the higher for discovering something new. We often rely on recommendations from trusted buyers at our local stores, but since we were traveling, we flew solo on this selection. Tasting Notes: Hypnotic aromas of violets and deep, full flavors of plum with small portions of Syrah and Bonarda to add dark cherry and blackberry flavors. Deft oak usage adds layers of complexity with smoothly-integrated tones of spice and vanilla. The full, firm structure and balanced tannins create a rich mouthfeel and expansive finish, and an entirely unforgettable wine. We enjoyed it and will look for it at home. While we sipped it throughout a late afternoon, it would pair nicely with a steak dinner or a hearty stew. We actually could have made that stew (recipe below) while staying at the Pantai Inn as they have complete kitchens with cookware, dishes, and utensils. I’d recommend doing that if you happened to be staying during one of those unusual stormy days – keep dry inside and watch the storm roll in off the ocean while enjoying dinner and wine. We have editorial features mapped out with specificity for the first quarter of the year and tentatively planned for the second quarter. We’ve synched calendars with conference and events we want to attend. We’ve got January travel nailed down, which includes a trip to Friday Harbor in Washington State’s San Juan Islands. We’ve got travel tentatively mapped out for the rest of the year. We’ve set up accounting and record-keeping practices that will make that process easier. 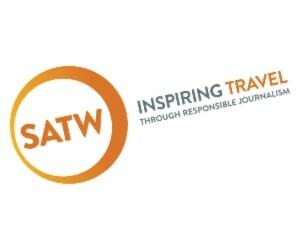 We have identified brands and destinations we’d like to visit and work with, and have set up a plan to pitch them. We found some courses for Tony to take to learn more about photography and to start integrating him more into the business part of my blogging business (see info in buying guide below). Have decided to incorporate the business as an LLC. Worked on Tony’s social media accounts. Created an action plan of things to do, working out a couple of months at a time. We’ve got anchor projects in place with plenty of space for changes, additions, and course corrections. One of the best results of our getaway was a chance to be together without the constant interruptions of daily home life. We enjoy time with one another, and this getaway was the perfect time to talk about what quality of life means to us and to plan the future that we want to live. 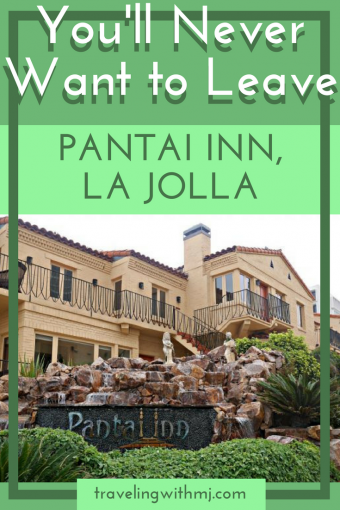 We enjoyed our time at the Pantai Inn in La Jolla, and we never wanted to leave. We think you’ll feel the same. 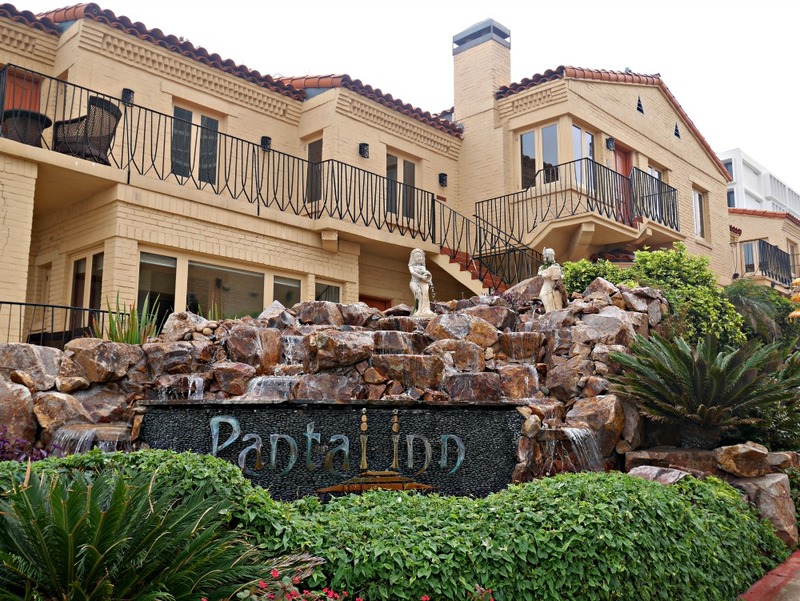 Location: Pantai Inn is located at 1003 Coast Boulevard, La Jolla, California. 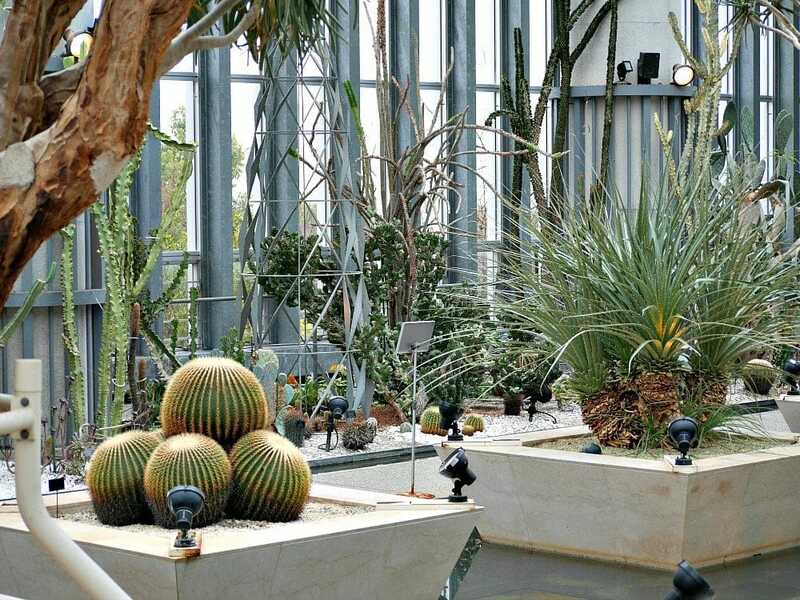 It’s about a half hour drive, more during peak travel time from the San Diego (SAN) Airport. 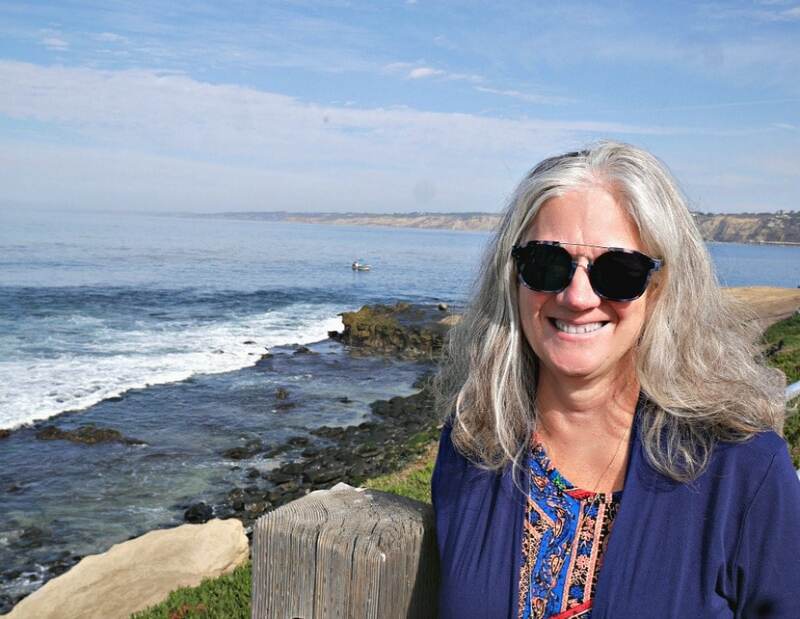 The Inn is located walking distance from La Jolla Village, so getting around is easy, but if you want flexibility and the ability to do day trips, a car will be helpful. In the neighborhood: Pantai is located directly across from Scripps Park and the Pacific Ocean, and a short walk from the La Jolla Tide Pools, Children’s Pool, Seal Rock, and La Jolla Cove. If you have a car and want to venture a little farther, visit the La Jolla Contemporary Art Museum for some culture, Torrey Pines Golf Course for a round of golf (it’s a public course), or catch a performance at La Jolla Playhouse (advance tickets strongly recommended). Accommodations: Studios, one, two, and three bedroom suites, and one and two bedroom cottages, all furnished in a luxurious and relaxing, Balinese-inspired decor, most with ocean views. Interiors feature rattan and hand-carved furnishings, as well as original Indonesian artwork. All rooms feature either full kitchens or kitchenettes with dishes and utensils, coffee service, flat screen televisions and media hubs with movies and music on-demand. High-speed wireless is included with your room rate, necessary for the planning we were doing, and with Italian bed linens and high-end terrycloth bathrobes for lounging – you may never want to leave. The property is lush and tropically landscaped, with plenty of seating areas. Enjoy an evening around the fire pit, have breakfast on the patio, or have a nightcap warmed by the heat lamps placed around the property – you may never want to leave. Amenities: Breakfast and complimentary refreshments are offered throughout the day in the breakfast room or the lobby. The Inn does not have an onsite restaurant, but there are lots of restaurants nearby at all price points. Complimentary transportation is available within the Village, although we preferred to walk everywhere. It was convenient, safe, and easy. 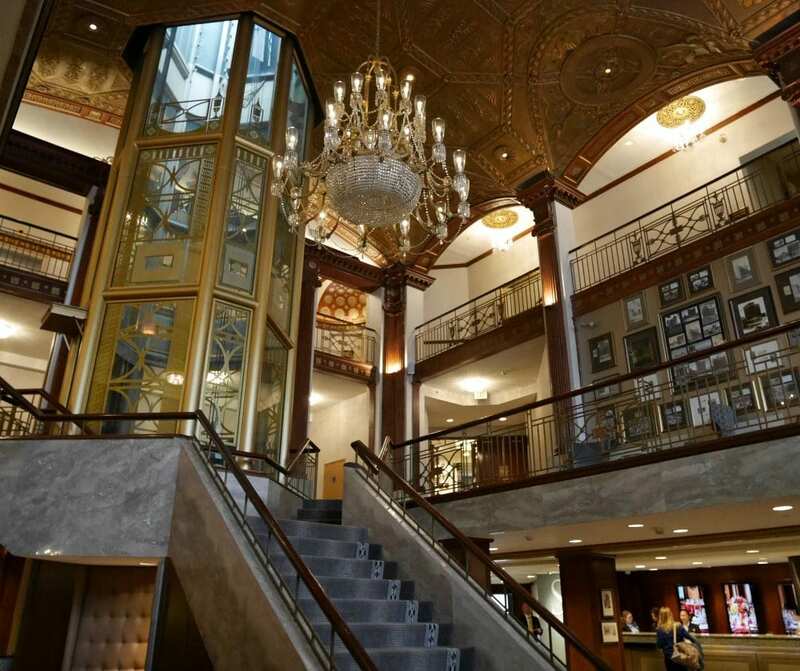 If you want to book special activities or tours, check with the concierge in the lobby. Meeting space is available and while perfect for small gatherings, it’s also perfect for special events like receptions, showers, or reunions. There are plenty of special places around the property for al fresco receptions, weddings, or private dinners. Time things just right and you can enjoy a beautiful sunset over the Pacific Ocean. You can read additional hotel reviews on TripAdvisor here (Pantai Inn is rated the top hotel in La Jolla), and check out rates here. Getting there: We flew Alaska Airlines roundtrip from Seattle (SEA) to San Diego (SAN), then got a rental car to drive to La Jolla. Rental cars: The rental car facility is located off of the airport property and a shuttle service is provided. 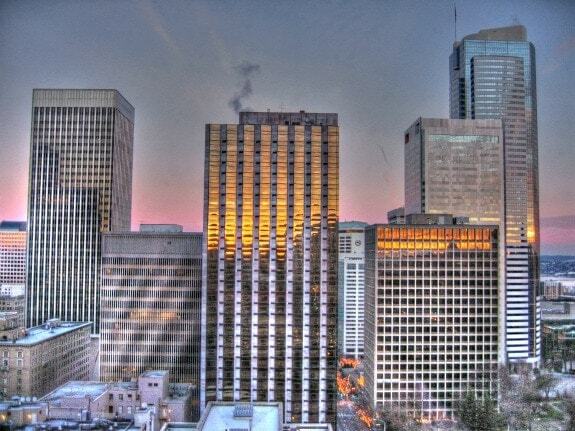 You’ll find all the major rental companies here, along with a few local ones. We recommend using one that accrues points in your frequent traveler plans, has a premium on your credit card, or offers some type of special perk. If you’re spending the money for a car rental, these bonuses are a nice perk. Planner: Bullet Planners are personalized and handmade in Australia with locally sourced materials. I got to know one of the family members involved in the business and love their backstory. The designs gear more toward women, but we found a couple of generic designs suitable for men. We’re new to bullet planning and I expect our efficiency in using them will pick up as the year progresses. Other notebooks and planning books are also available. 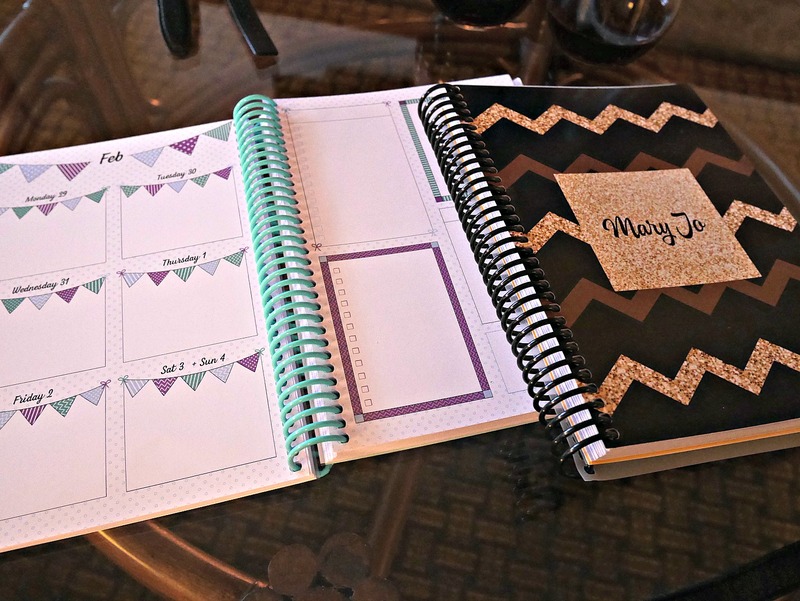 Price: Planners start around $38, with personal planners at $45. A variety of styles, colors, and features are available. Buy yours here. Phone Apps – I recently discovered MileIQ, a great app for keeping track of mileage for tax reporting purposes. While the deduction may have been eliminated for employees, it is still available for business owners. I always mean to write down starting and ending odometer readings when I drive for business purposes, but all too often I forget and am forced to either drive it again or use a mapping process to get the distance between both points. What a waste of time! With Mile IQ, you can leave the app on in the background and it automatically picks up your drives. You can then categorize them in a way that works for your business, or delete them if it was not business related, if it was by public transportation, or isn’t something important for tax purposes. You can trigger it for each individual trip, but since I would never remember to do that, I’ve set in for automatic. I started using this last year and have found it easy and efficient. It’s available for Apple and Android phones in a free version which I use, with an upgraded premium version if you need to categorize over a given level of trips (I’m not even close to needing this). Watches – We took them off during our planning sessions as we didn’t want to be watching the clock. We aren’t slaves to time, but let’s face it, we need to make sure that we get to our flights on time, get to the theater before the play starts, and keep friendships intact because we participate in a time-sensitive way. 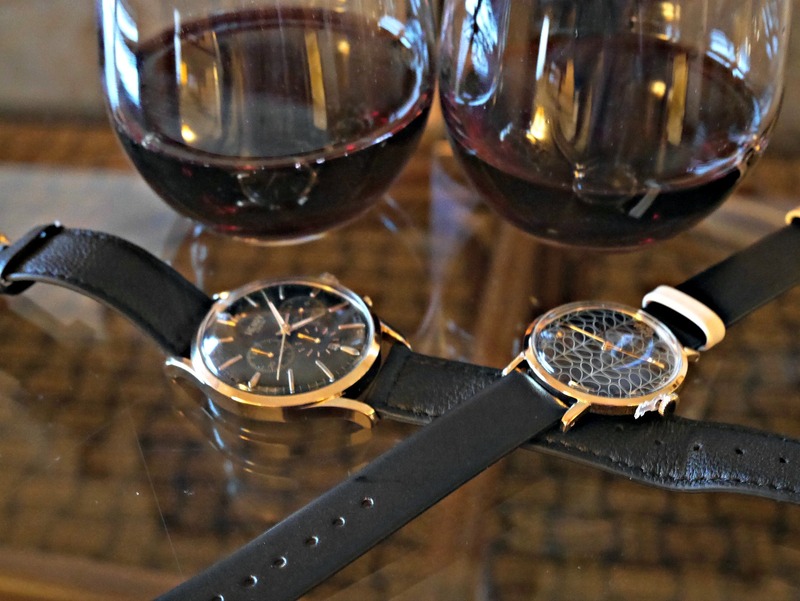 No one likes the chronically tardy, and we rely on our watches from Amara. Tony wears the Westminster watch from Henry London. With its sophisticated slim gold case, high double domed lens, and black leather strap, it’s a timepiece that moves easily from business to casual. I wear the Patricia watch from Orla Kiely. I enjoy its 1960s inspired retro-style and simple leather strap, and it’s black and navy color works well with my fairly conservative travel wardrobe. Price: $138, for the Henry London, currently on sale for $97. Purchase here. $118, for the Orla Kiely, currently on sale for $59. Purchase here (available in black/navy, cream/green, and brown/tan). 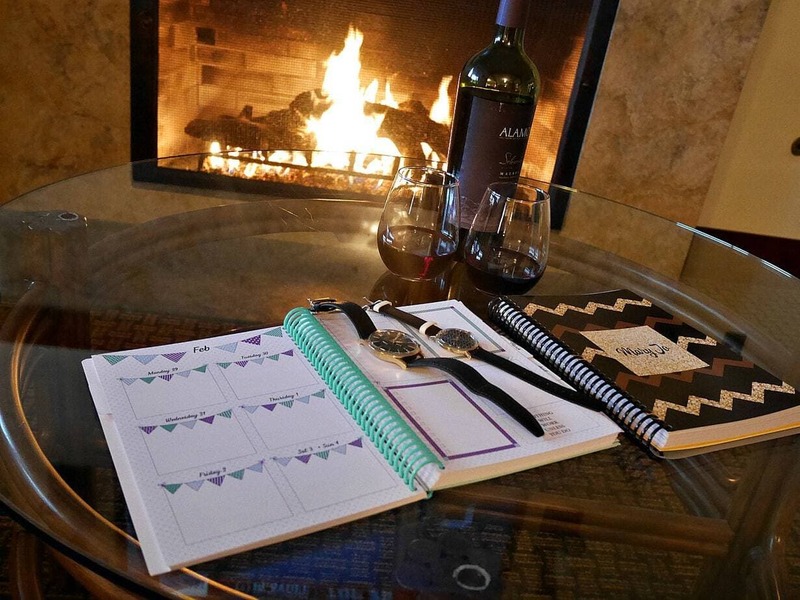 Wine – We love discovering new wines when we traveling, and although we typically make a selection from a local winery, we went off script this time and chose the 2015 Alamos Seleccion Malbec. We enjoyed it and will look for it again here at home. Price: $20. While we purchased it at a nearby wine and spirits shop, it’s also available online where it’s currently on sale at wine.com for $16.99. Photography course – There are a lot of courses and classes out there, and it’s hard to know how to evaluate them and get one that meets your needs. We looked for a course that met us where we are, that would help us on take better photos with our rudimentary equipment (iPhones, point and shoot, and a mirror-less camera). We want practical and easy, not artsy fartsy, and want to get better at what we do, but we aren’t interested in focusing on how to become award-winning professional photographers. After looking for a self-paced, work at your own speed course of study, we opted for the Superstar Blogging How to Become a Travel Photographer course. We know and like the photographers involved with the course and are eager to start it in the next few days. Price: $89 (payment plans available). Get more info here. Pin this to your favorite Pinterest board and start planning your trip to the Pantai Inn. I have no precise measurements for my winter beef stew, no nutrition guidelines or minimal daily requirement information. This is simply one of my throw it all into a pot and let it simmer all day go-to fall and winter dinner recipes. Alter to fit your own preferences. In a pot add a variety of the following vegetables in whatever quantities you like (and fit in your pot). Once the meat and vegetables are in the pot, Cover with spicy V-8 juice. Add additional seasonings to your taste preference. I usually add in garlic powder, red pepper flakes, and coarsely ground pepper, to taste. I use a crockpot for this, I love the smell in the house as it simmers all day. You can also use an Instant Pot or a large pot that can simmer on your stove all day. I always make a large batch so I have leftovers; it’s even better the next day. Serve with warm crusty bread and a salad. The Malbec referenced above would go great with it. NOTE: Everything we needed to prepare, cook, and eat this stew was in the kitchen at the Pantai Inn. February will feature a getaway to San Francisco, California, and will be themed around enjoying the favorites.